He was FREE, okay?! Blame the good people at Greensgrow, with their rack of “Please take me home” tomatoes. It would have been cruel not to, right? 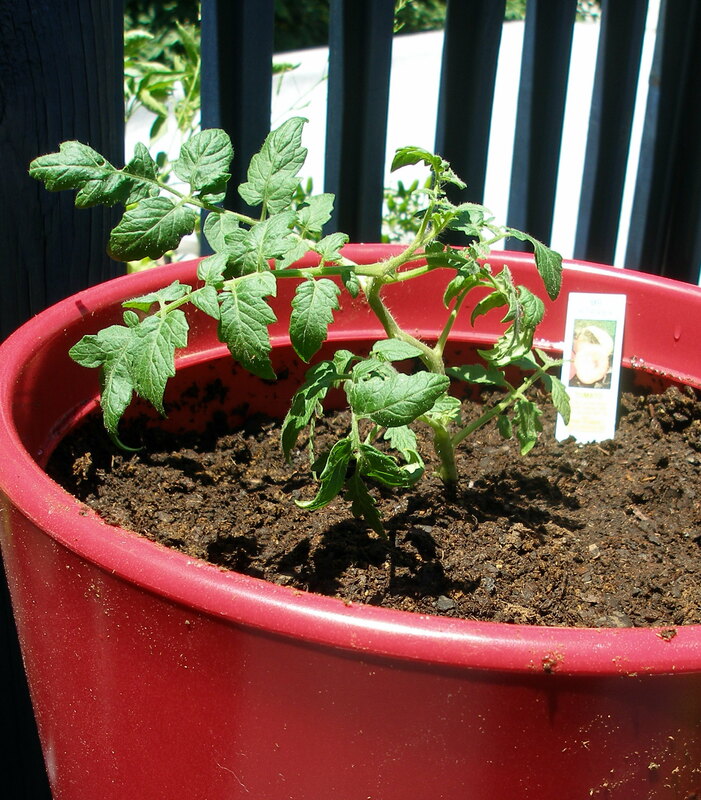 Besides, Mr. Stripey was the very first heirloom tomato that got this whole container gardening bug going, many years ago. And he was sweet and delicious. (And the next year when a Mr. Stripey the Second was planted it did miserably, but whatev.) Based on a welcomed recommendation from Startin Yer Garten, he’s enjoying a huge pot. Wish this latecomer good luck and bid him welcome. And don’t forget to water…and then water again several hours later. It’s hot out there, in case you hadn’t noticed.